Their comments came as Mozilla's head of engineering acknowledged that the browser's final delivery date will slip. In a message posted to a company message forum, Firefox developer David Baron wondered how long Firefox 3.1 should be held up by TraceMonkey problems. "Without TraceMonkey, we probably could have shipped 3.1 final by now, or, if not now, within the next month," Baron said. "I think there should be a limit to the amount we're willing to slip 3.1 to accommodate TraceMonkey, and I think we should decide what that limit is." Graydon Hoare, a Mozilla developer who works on TraceMonkey, agreed. "I have to concur here," he said in a message on the same forum thread. "TraceMonkey is really cool tech, and a remarkably quick initial development, but it's not the whole enchilada of the browser." Hoare, however, said it made more sense to disable TraceMonkey by default -- an approach used through Beta 1 -- rather than pull it from the product. The biggest bug now delaying Beta 3's release is a TraceMonkey issue. But Mozilla will probably not pull the engine, said Mike Shaver, Mozilla's vice president of engineering, in an interview Saturday. "We're always looking at all of our choices, but I don't think it's likely," he said. "TraceMonkey is a big part of Firefox 3.1, and a big part of what we want to have for users." 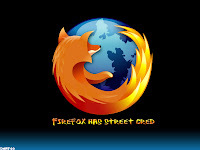 Saying that Firefox 3.1 in its current form is "quite a stable product," Shaver said patience is a development virtue. "We're taking the time to get this worked out," he said. "No one will remember when Firefox 3.1 shipped other than the guy who writes the Wikipedia entry. But people will remember how Firefox 3.1 runs." Comments by developers such as Baron and Hoare are in no way a "revolt" by programmers, said Shaver, who added that such discussions are normal at Mozilla, and during software development in general. "There's always talk about what we should trade off," he said. Mozilla conceived Firefox 3.1 as a "fast-track" update to June 2008's Firefox 3.0, but the new browser's progress has been much slower than originally planned. At one point, Mozilla was shooting for a final release as early as the last months of 2008, and hinted that it would use just a single beta to do so. But Firefox 3.1 has been pushed back several times to allow Mozilla to add more features -- TraceMonkey and a private browsing mode among them -- and for additional testing. In November, for example, Mozilla slipped in a third beta to get a better handle on bugs. "We wanted to be able to develop faster, and see how that manifested on the product side," said Shaver about Firefox 3.1's pace. "Even if we get it out in Q2, we'd be looking at about a year after Firefox 3.0, and that's still faster than we've usually done." Shaver said he has no regrets about Firefox 3.1's progress. "I'm very happy with how 3.1 is shaping up." But it's unlikely that Firefox 3.1 will ship this quarter -- for months the broad target Mozilla was touting. "To make it in Q1, we'd have to rush it more than we want to," Shaver said. The schedule being considered now "would put it out of Q1," he added. There's a possibility that Mozilla will, in fact, slate a fourth beta before it moves on to a "release candidate" build. "We do betas until we're confident we're done with them," Shaver said. Although Mozilla faces renewed pressure from Microsoft Corp., which may wrap up Internet Explorer 8 (IE8) as quickly as next month, Shaver rejects the idea that Firefox is in a race. "No, I don't think it is important," he said when asked whether Mozilla needs to get Firefox 3.1 out the door before IE8. "We're eager to get a high-quality Firefox 3.1," he said. "This is much more about having the product done right than getting it out fast." Firefox 3.1 Beta 2, still the newest public release of the browser, debuted in early December 2008. It can be downloaded from Mozilla's site in versions for Windows, Mac OS X and Linux.